The Town of Georgina has an Official Plan which sets out land use policy to guide future development and manages growth. It is the foundation for building a good community directing how the Town’s future vision for Georgina can be reached. The Official Plan describes policies on how land should be used and helps ensure future planning and development. Included are policies on where new housing, industry and commercial business will be located; what services will be needed including roads, sewers, watermains, parks, and schools. Secondary Plans form part of the Official Plan, each providing more specific land use policies. The Official Plan should be used as a reference document in conjunction with more detailed Secondary Plans and Zoning By-laws. The Town currently has four Secondary Plans, Keswick, Sutton/Jackson’s Point, Pefferlaw and the Keswick Business Park Secondary Plan. 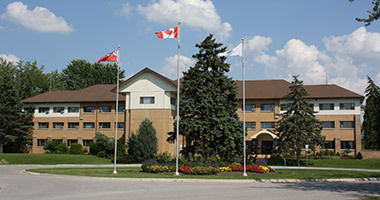 A Secondary Plan’s primary purpose is to manage growth and development, ensuring a high quality of life for present and future residents, ensuring future development includes a range of housing opportunities, parkland and recreational space, access to goods and services, enhanced natural features, and expanded employment opportunities. Whenever a development application is proposed, the Official Plan is consulted to ensure the proposal is consistent with its provisions. Official Plan’s must conform to the planning policies established by the Province and the Region of York. In order to change any of the policies outlined in the Official Plan, an Official Plan Amendment is required. Applicants are required to arrange a Pre-Consultation Meeting with the Town prior to submitting an Official Plan amendment application. A formal public hearing is scheduled once an application is reviewed and determined to be complete.